There’s a new BBQ duo in town and while their ‘Q is low and slow, they are rising high and fast. Oregonians listen up and learn about Ember and Vine. Everyone else, keep reading, we have great summer wine suggestions for you. For my Southern readers, folks out here say they are going to BBQ, when they really mean they are going to grill steaks or burgers. We had to check and sure enough Ember and Vine are doing it right. 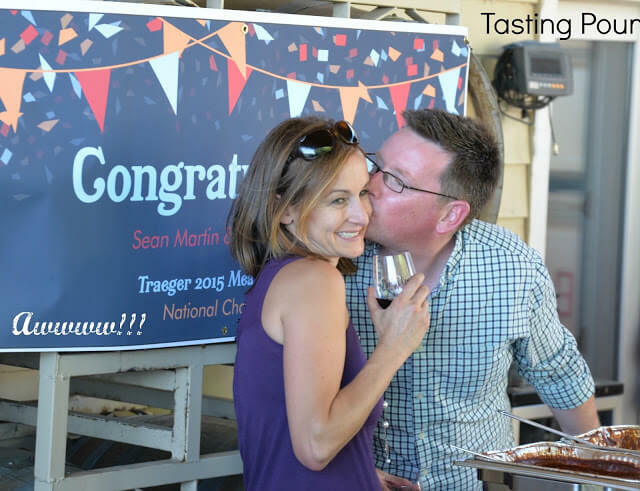 Sean and Mary have been building their catering business for a while. The first time we met Mary she was talking about BBQ. 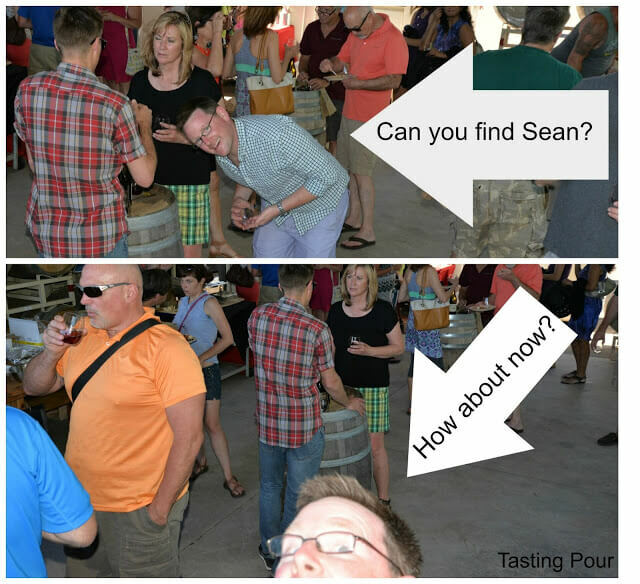 The first time we met Sean was on a press trip where he was concocting salsa, MacGyver style, from random ingredients at our guest house. 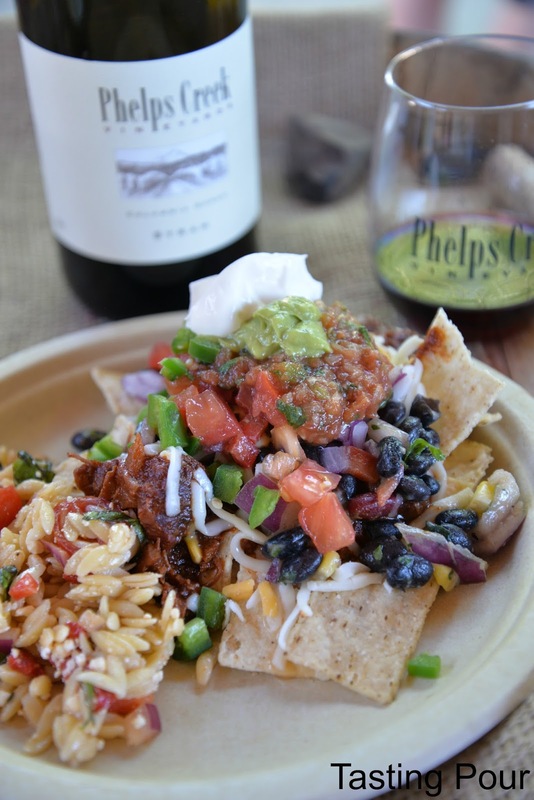 Last weekend Phelps Creek Vineyards in the Columbia Gorge celebrated the win with a Nachos and Syrah Party. 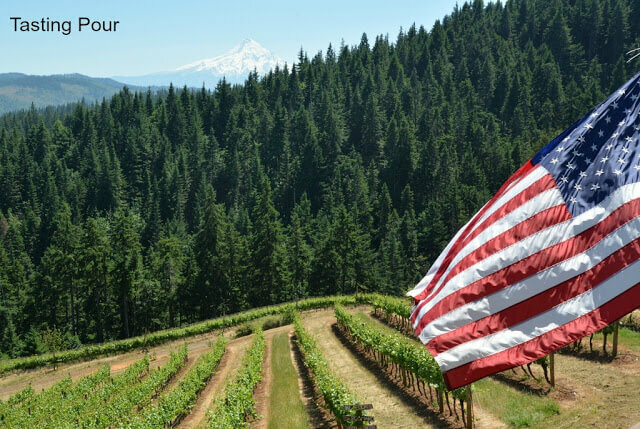 Phelps Creek is one of our FAVORITE wineries in the Gorge, and really in Oregon. The first time we had Sean’s pork loin it was enough to make Jade not only stop talking, but possibly make an embarrassing moan. A two hour drive was nothing to catch this food and wine combo. Okay wine lover’s this part’s for you. Phelps Creek served up the perfect wines for an outdoor party on a hot day. In the new release category were Fleur de Roy 2014, Rose of Pinot Noir; Celilo Gewurztraminer 2014; and Le Petit Pinot Noir 2014. A glass of something dry and pink is always a summer fave. We are not normally big fans of Gewurzt. They are fun to smell but often lack acidity and taste too perfumey. You can count on your fingers the ones we have liked – a few from the classic region of Alsace and this one from Phelps Creek. It was floral, spicy and fruity while maintaining the refreshing balance you want in a summer white. The Le Petit was a kicker – a Pinot noir made like a Beaujolais , with carbonic maceration. It had all of the fun flavors you want from a quality Beaujolais with the classic flavors of Pinot noir. To buy wine, visit Phelps Creek or order online. Of course the selected pairing of the day was Phelps Creek Syrah with the Smoked Brisket Nachos. Dark, rich fruit complemented the smoky, tangy brisket. Okay Oregon BBQ lovers back to you. If you missed the nacho party it isn’t too late. Ember and Vine will be teaming up with Barrel 47 to do pulled pork sandwiches and chorizo verde smoked sausage links at Porklandia June 20th in Carlton. They also will hold one of the coveted spots at Counter Culture July 22 at Anne Amie Vineyards. The website for Ember and Vine is under construction. Follow their Facebook page and visit Vindulge for recipe, tips, and wine pairings.